This year’s flu season has walloped the country. 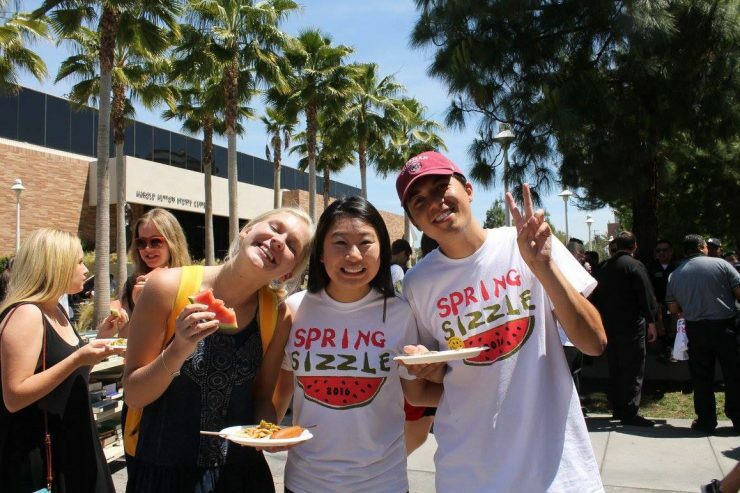 But students can take action to avoid the virus or recover quickly if they contract it, say Chapman University health and medical experts. Experts advise getting a flu shot as soon as possible, if you haven’t already received it this season. Flu vaccinations are free to students and available without an appointment at Student Health Services. A student stops by Chapman University’s Student Health Services for a quick flu shot this week. And no, it’s not too late, says Jacqueline Deats, a nurse practitioner and director of Student Health Services. While the Centers for Disease Control and Prevention estimates that this year’s vaccine is only 30 percent effective, the immunity it spurs will reduce the severity of symptoms in those who come down with the bug, Deats says. Moreover, flu season often peaks in February, just as the spring semester opens. Since September, Deats and her staff have confirmed 10 cases of flu among Chapman students visiting the clinic, located at 402 N. Glassell St.
Nationwide, though, flu is widespread. 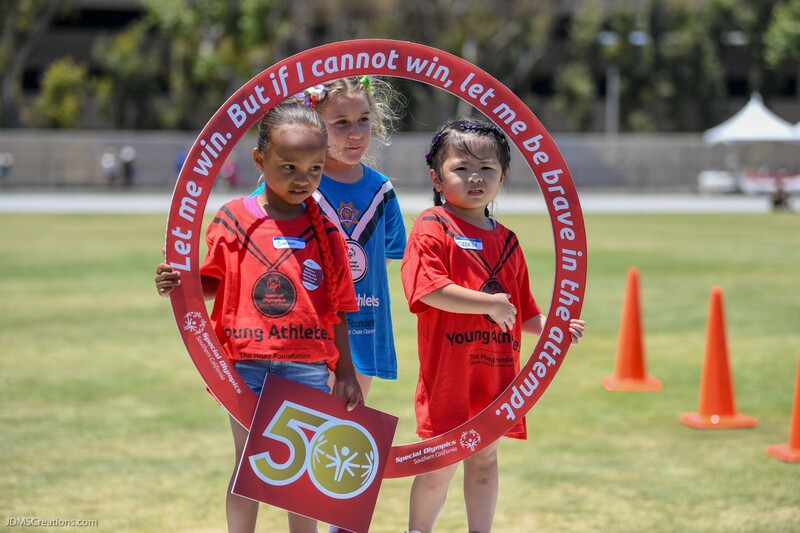 “Compared to last year, the number of cases has become widespread earlier and in higher numbers,” says pharmacist Jeff Goad, professor and chair of the Department of Pharmacy Practice at Chapman University’s School of Pharmacy. Why? Much of it comes down to eggs. Most flu vaccines are grown in fertilized hen eggs, but egg-grown vaccines may be less effective against this year’s dominant flu, the H3N2 strain, Goad says. Adding to that complication is the fact that flu strains are always evolving, making vaccine development an ongoing challenge for scientists. “While we’ve come a long way in our understanding of this virus and ways to prevent it, we’ve still got a long way to go to outmaneuver it. 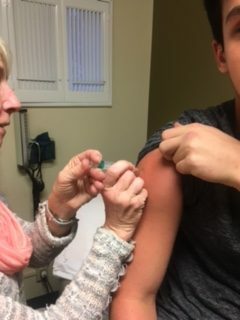 High level, predictable and long-lasting protection may be on the near horizon as scientists work to develop a universal influenza vaccine that doesn’t depend on eggs or educational guesswork to formulate a vaccine every year,” he says. Meanwhile, vaccination and hand-washing – lots of that – are the best protection, he says. “Sorry, no magic bullet!” Goad says. In general, college students are a healthy population, and most who get the flu will recover well, Deats says. But she adds that their close living quarters and propensity for sharing food and drinks can intensify contagion levels, raising the potential for complications and slamming the brakes on academic life, sporting events and social activities. “It can be awful,” she says. For definite cases of the flu, the center can administer or provide prescriptions for the antiviral medication Tamiflu, which if given within 48 hours of the first symptoms can shorten the flu’s duration, she said. And if flu or even a nasty cold strikes, be sure to drink plenty of fluids, rest and stay home until fever-free for 24 hours, Deats says. 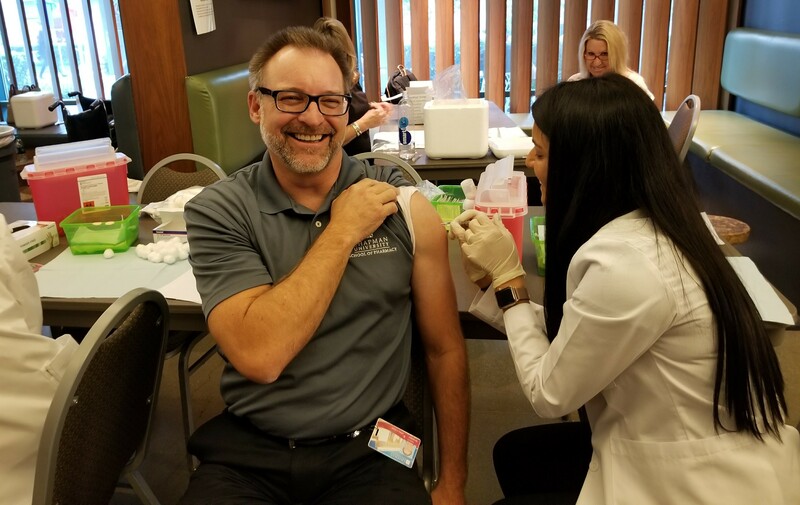 Display image at top/Jeff Goad, professor and chair of the Department of Pharmacy Practice at Chapman University’s School of Pharmacy ,was among the first takers when pharmacy students staffed Chapman’s flu shot clinic this fall. Seen the Keck Center lately?